If you’re stuck on where to bring your pets, or just want to escape from shopping malls and polluted air, visit Sai Kung this weekend! 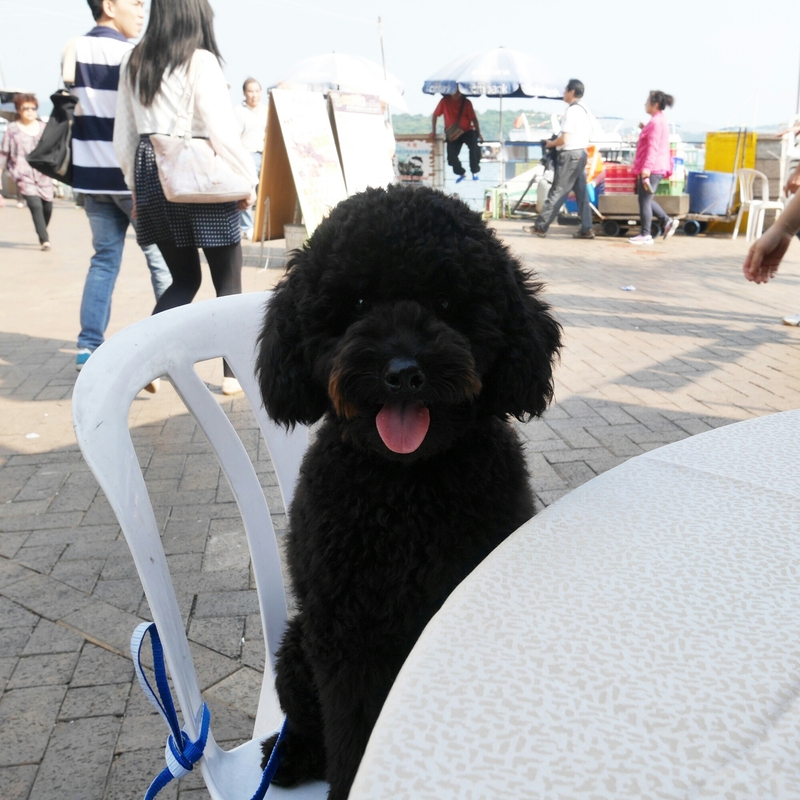 Most Chinese restaurants in the city that open for yum cha (飲茶) or dim sum are indoors (nothing outrageous about that), but the restaurants by the sea in Sai Kung offer outdoor seating and are happy to lend an extra chair for your pooch. In fact, there’ll be at least 25 other dogs accompanying you al fresco. Recommended by the Michelin guide and also my personal favourite is Chuen Kee Seafood Restaurant (全記海鮮茶館). They may be recommended for their seafood dishes, but they also dish out some very decent dim sum! Siu mai is my personal must-order item anywhere and I’m glad they make it good here! All the basic items are done pretty well, barring a bad experience with the cha siu bao. One of their signatures is this runny egg custard bun. It truly lives up to its name of having a “runny centre”, although I have to caution you that quality consistency is sometimes an issue here, maybe about a tenth of the time (I come here a lot…). Still, I say this is the one must order dish for anyone who comes. I also love that, unlike the niche dim sum-focused places (like the super popular Tim Ho Wan), a traditional Chinese restaurant like this, typically offers a lot more variety and choices. Of note, you could try the XO sauce fried cheung fun or the salt and pepper deep fried tofu cubes. Happy puppy date and weekend everyone! Chuen Kee Seafood Restaurant is located on 87-89 Man Nin Street, Sai Kung (by the sea). A tolerable 10-15 minutes wait is usually required during lunch hours on Sunday.